If you've ever dreamed of beautiful bodies sliding down from the roof just for your pleasure while you feast on a gorgeous spread, this is the New Year's Eve party for you. 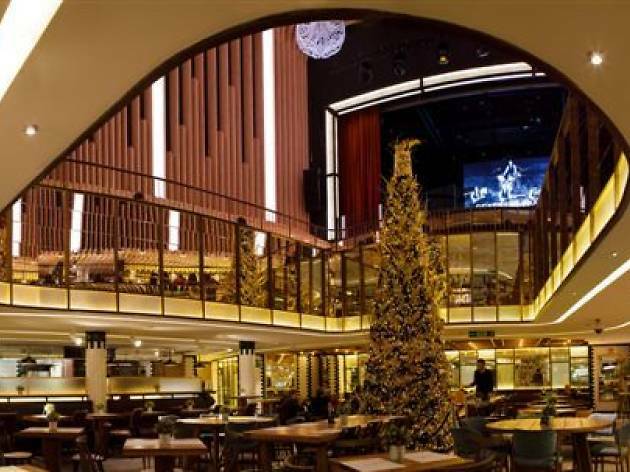 Platea Madrid is not only putting on a pre-party (from 1pm) with DJs, bartenders and top cuisine, but they've also lined up a special evening for those who like to hear the midnight bells chime in a new year out of the house. 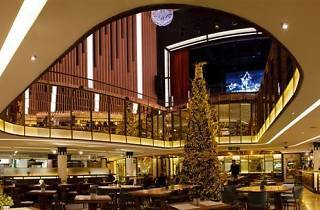 Starting at 9.30pm, this luxurious dining space will host an aerial dance show and a 'Black Platea' music session to bring you back to the glamor of the 1950s. Five saxophones will argue with the grand piano over who the star of the show is on the center stage. Double bass, cello, violin, and singers accompany you throughout the evening. Can you think of a more sophisticated plan? And after dinner, at half past midnight, the Platea Madrid DJs are back at their posts to help you dance in 2015.